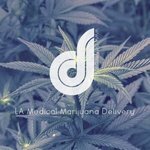 Deliver Bud is a Los Angeles medical marijuana delivery service that strongly believes that cannabis can be an excellent alternative to traditional forms of treatment and helps to deal relieve pain and with such ailments as stress and depression. The product range is not huge, but the company is deeply convinced that the number of goods on the shelves doesn't really matter. High quality is the key factor in the mmj selection process. Deliver Bud deals exclusively with well-established cultivators to ensure that all the products are 100% safe. All flowers are tested for mold, pesticides, and hazardous chemicals. The delivery appreciates every single customer and, thus, has introduced happy hours and created a loyalty program for its patients. Contact our specialists to learn more about it. What is more, first-time buyers are treated with special offers – check out the deals before placing an order.